Compare their size: the old MacBook Pro on the left vs. the next generation MacBook Pro on the right. It's stunning! 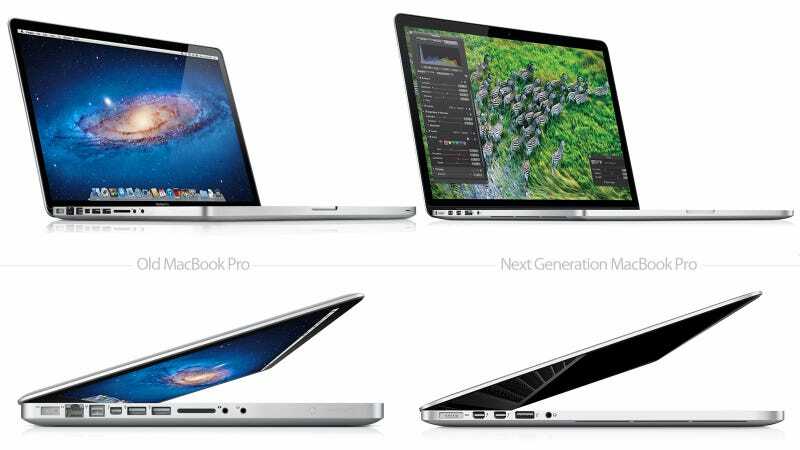 The entire new laptop is much thinner than the old one's main body. It's really insane. And 7 hours of battery? And 8GB of RAM? And 256GB SSD storage? And Retina graphics? And only $2,200?